Oh, ye, of little faith! You “doubting Thomases” have all been proven wrong, just as I predicted you would be! When I welcomed Tony Soprano back after being gone from our midst for far too long, many of you said, “Oh, it will never be the same,” or, after the first couple of episodes aired, “It’s not as good as it used to be.” You bah-humbuggers were way off the mark. The belated return of the sixth season of The Sopranos, two years after season five aired, is like the reappearance of the long lost love of your life. He charmed you, won you, made you experience things you’d never known before. Then he left you with a big fat hole in your heart. But over time you healed and found new loves. Now the old devil’s back, as mesmerizing as ever. But you’ve changed. Can you recapture that old chemistry for one last fling? Disorientation assaults us from the very beginning. As the first episode, “Members Only,” opens, an FBI agent vomits while William Burroughs intones a poem about the seven parts of the soul. A montage shows us that nearly two years have passed. Janice has a baby; Meadow’s still with Finn; and Carmela’s talking to Adriana. Wait a minute — Adriana? Wasn’t she brutally murdered last season? But as Adriana literally fades from the screen, Carmela wakes up, and we realize that once again we’ve been pulled into the unconscious of one of the Sopranos – a theme that resonates through the next three episodes. 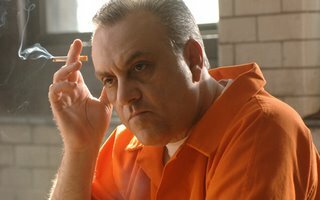 Tony’s riding high, and all is peaceful with Phil Leotardo running the New York mob while Johnny Sack awaits trial in prison. As made man Gene tries to leave the mob to move to Florida, Tony’s biggest problem appears to be Uncle Junior, who’s getting crazier and more difficult every day. Tony, for reasons wonderfully explored by psychologist Dr. Melfi, won’t even consider putting him in a home, but Janice is fed up with looking after the old coot. By the end of the episode, disorientation reigns again as Gene kills himself rather than remain a mobster, and a delusional Uncle Jun mistakes Tony for an enemy and shoots him in the stomach. Fully half of episodes two and three, “Join the Club” and “Mayham,” are as crazy as Uncle Junior. Comatose, Tony dreams about the life he might’ve had if he wasn’t a Soprano. Or is he in Hell? Or Purgatory? For awhile, this storyline goes off into uncharted and fascinating territory before ending in a more typical temptation to “rejoin his family” in a light filled resort, although he hears the voices of his children trying to call him back to life. In the real world, his wife and children gather around him, even the errant AJ, who vows to put a bullet in Junior’s “mummy head.” His other “family” starts jockeying for position, just in case Tony doesn’t make it. 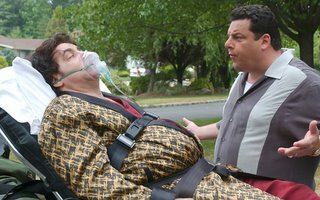 Silvio is put in charge, but by episode three he’s been hospitalized due to the stress brought on by greedy Paulie, Vito, and Bobby, all of whom chafe at his decisions. Vito, in particular, woos the New York family to support him to take over if Tony should die, which isn’t nearly as creepy as they way he woos Finn, who rushes off to find shelter with Meadow. A payment to Carmela is put off – until Tony wakes up. 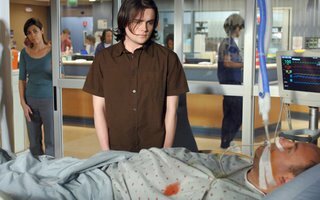 But when the boss regains consciousness, Paulie and Vito rush the payment to Carmela, who can’t help but notice the grim disappointment on their faces. Yep, The Sopranos is back with a vengeance. 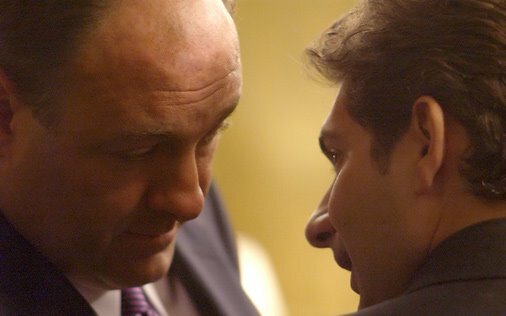 Creator David Chase has beautifully set up an all-out battle for Tony’s soul. As usual, the acting is flawless, with Edie Falco winding up to get another Emmy in the second episode as she grapples with her love/hate for Tony while he lies comatose. James Gandolfini brilliantly makes us believe that this violent mobster also has a spiritual side. Supporting players are, as always, pitch perfect. The scripts continue to vibrate with familiar life, humor, and darkness. The Sopranos is like coming home. You find comfort there at first, but look under the bed and you’ll find new monsters lurking and fresh skeletons in the closets. Welcome back!